Earlier this year, scientists were unveiling the first, stable semi-synthetic life form. In a paper published today, another research group reports enabling their spawn to read and use the synthetic genetic data, creating compounds entirely new to biological systems. 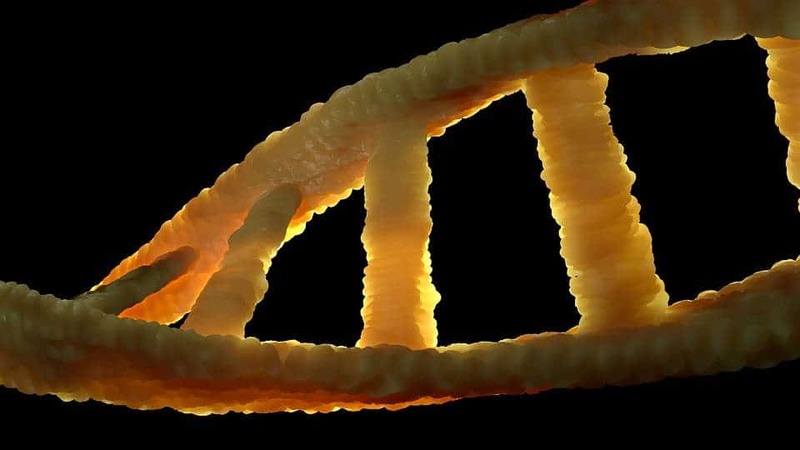 This year started off with a bang for everyone even remotely interested in the fields of genetics and genetic engineering when researchers from the Scripps Research Institute, California, announced the creation of a stable organism carrying semi-synthetic DNA. While it might not sound like much, the result was a breakthrough. Virtually all life on Earth shares DNA made from four different elements called nuclear bases. These are adenine (A), cytosine (C), guanine (G), and thymine (T). All the complexity of life ever to spring up on this fair planet was borne out of different re-arrangements of these four. Not only can we re-arrange the letters that tell life how to be alive, but now, we can introduce our own symbols in there. Today, another team from the same institution published a paper that could create a paradigm shift in how we interact with life’s fundamental building blocks. They report that life understands the synthetic nucleotides embedded in DNA. The team first snuck the two additional ‘letters’, X and Y, into the genome of an E. coli bacterium strain back in 2014. However, the organism was highly unstable. It could maintain X and Y in its genome while going about its daily business, not so much during cell division. Which is a problem when you’re gene-shaping. Subsequent refining of the organism, including switching to a new nucleotide transporter that would enable more stable DNA replication, a re-design of the Y base, and better delivery through the use of CRISPR-Cas9, allowed it to remain stable even through division. Now, a paper describing further improvements brought to the organism’s stability comes to expand on that work. Romesberg and his colleagues started by embedding their unnatural bases in genes that also contained A, C, G and T. They found that within the semi-synthetic organism, these genes could be successfully transcribed into RNA molecules also containing the unnatural bases. The cells could then use these RNA molecules at their ribosomes (protein manufacturing plants) to direct the incorporation of unnatural amino acids into proteins. 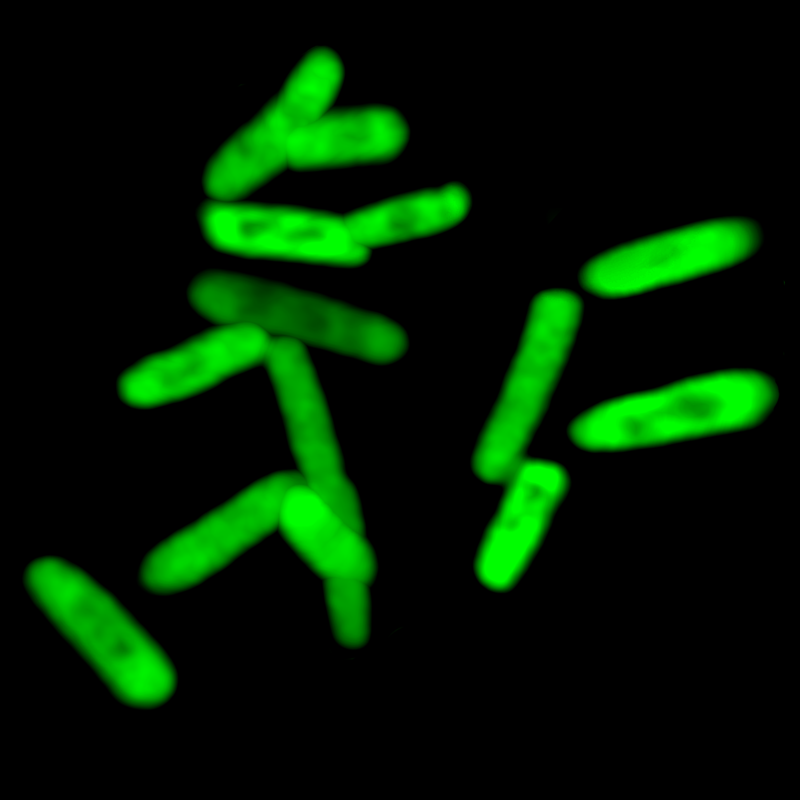 The fluorescent protein in these bacteria is encoded by artificial DNA bases. Image credits Yorke Zhang et al., 2017, Nature. Scientists demonstrated this new transcription process in the E. coli strain, successfully transcribing its artificial X and Y nucleotides into biochemical compounds with the same efficiency it would for natural A, C, G, or T bases. This means that the bacterium could synthesize products containing non-canonical amino acids (ncAAs), compounds encoded by stretches of DNA containing Y and X. Its the first organism to both contain unnatural bases in its DNA and use the bases to instruct cells to make a new protein. The synthesis process also hints at a new way of replicating molecules that rely to a lesser extent on hydrogen bonds (the type of electrochemical interactions which form the ‘rungs’ in DNA). The result of this process is a new class of semi-synthetical proteins — compounds we’ve never before seen in natural systems. What sets them apart is their incorporation of the unnatural base pair (UBP), the team writes, while retaining high stability. The four natural DNA bases code 20 amino acids. With the addition of X and Y, an organism could code for up to 152 new amino acids. The researchers hope these amino acids could become building blocks for new medicines. It’s still unknown where this breakthrough will lead — what’s sure for now is that DNA on Earth just got a major update to its complexity. The paper “A semi-synthetic organism that stores and retrieves increased genetic information” has been published in the journal Nature.